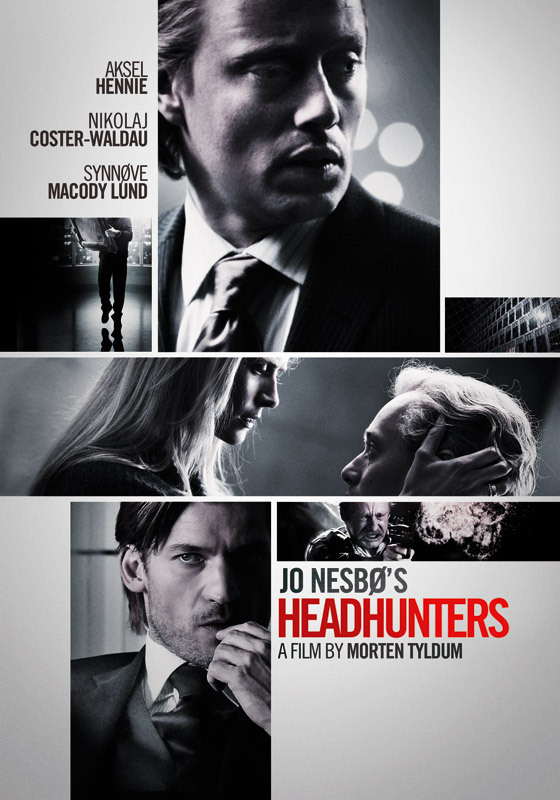 It is too bad that so few US thrillers get the A+ treatment that Jo Nesbo’s HEADHUNTERS got from the Norwegian team that produced it. HEADHUNTERS played an arthouse in Detroit, and although the audience seemed to regard it as a comedy, a good time was had by all. Maybe it was a comedy and I missed the cues. PLOT: Roger Brown (Aksel Hennie) is an executive headhunter. Apparently this is not a high-paying profession in Norway because in order to maintain his lifestyle, he must also steal art. In a voice-over he tells us why: he is afraid of losing his gorgeous wife (Synnove Macody Lund). Unwilling to give her the one thing she wants, a child, he lavishes worldly goods on her. His reason for this comes late in the film and makes perfect sense once we have come to know him. He is not an heroic figure, but he cares about his wife and we come to care about him. Brown’s modus operandi for finding valuable art to steal is using his day job to scout out possible pieces. When a potential hire (Nokolaj Coster-Waldau) tips him to the fact he has inherited his grandmother’s Rubens, Brown begins to plot its theft. Of course, this leads to a cat and mouse game with both men proving quite resourceful. There is a long, inventive chase that takes up most of the movie, but it has enough inventive scenes to keep us interested. The three leads are perfectly cast and the movie is beautifully filmed and directed. I realized watching this that few US films are willing to bother with real motives for their characters. We have settled for action without cause too often. This film doesn’t make that mistake. Highly recommended.